Labels recommended for outdoor applications. 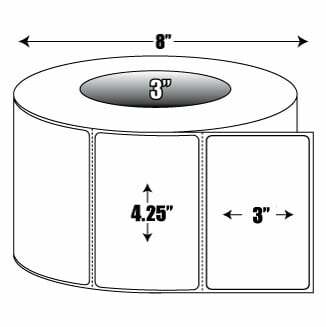 Duratran II is a top-coated thermal transfer paper that demonstrates excellent print quality with the TMX1407 ribbons. 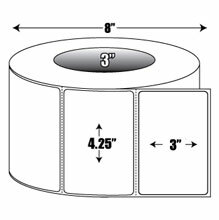 E12362	 Duratran II, Thermal transfer Labels (4.25 inch x 3.0 inch - Perf., 1,920 labels/roll, 8 rolls/case)	 Call for price. The Intermec E12362 is also known as Intermec Technologies	IMP-E12362	.